Gone are the days of the swimming pool simply being a place to cool off – they are now often the centrepiece of a home, providing an extension from living areas, a place to entertain and a place to relax and unwind. Water features are a simple yet elegant way to add that special finishing touch to your swimming pool, transforming it into a luxury oasis. From the simple to the elaborate there is something to suit every style and budget. 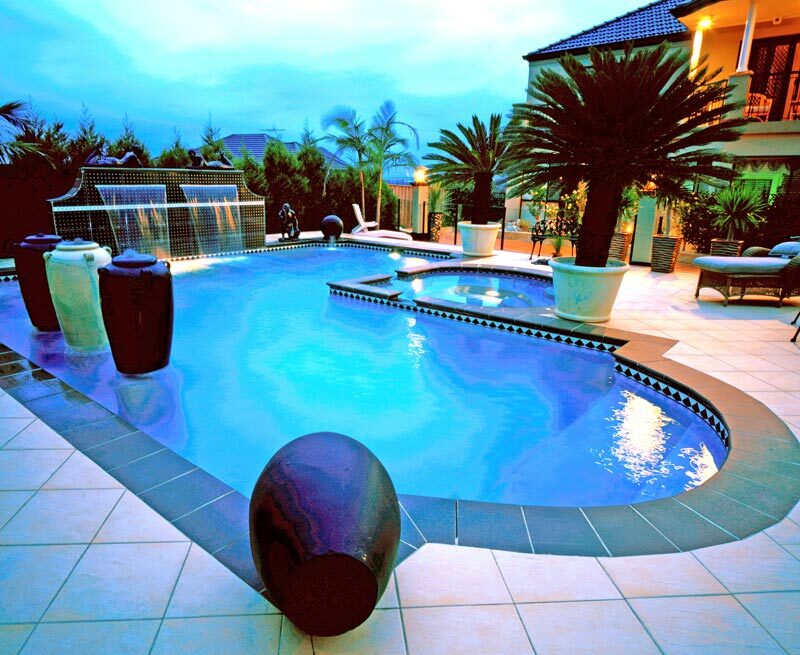 They come in a range of styles, complementing both the pool, surrounding gardens and the home. Waterfalls can be incorporated into most swimming pool designs and create a soothing sound to enhance the overall relaxation and ambiance. They can be sleek and contemporary with one cascading sheet of water, or can be incorporated into a rock waterfall for a more natural or tropical look. Simpler designs include water feature can act as a focal point outside of the pool. Water features can be added during the swimming pool building process or once the pool is complete and can be enhanced with lighting for a dramatic effect. For more ideas on how to add the perfect finishing touch to your swimming pool, call Blue Haven today on 13 20 25.